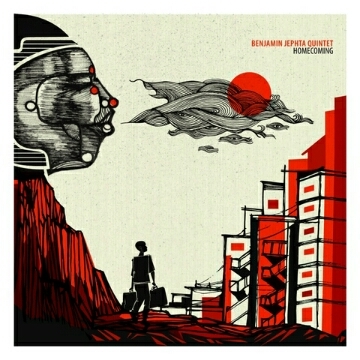 The Benjamin Jephta Quintet will be launching the debut album, Homecoming with a series of tour dates. Homecoming will be launched at the SA College of Music at the University of Cape Town on Friday, 16 January 2015. The launch tour is proudly supported by the Concerts SA Mobility Fund and features Benjamin Jephta on Basses, Kyle Shepherd (2014 Standard Bank Young Artist Award winner) on Piano, Sphelelo Mazibuko on Drums, Marcus Wyatt on Trumpet and Sisonke Xonti on Sax. At only 22, Benjamin Jephta has already become one of the premier double and electric bass players in South Africa as a featured musician. He has played with, among others, Sibongile Khumalo, Simphiwe Dana and Loyiso Bala, and Homecoming marks his debut offering as a solo artist. The album is a 12-track disc of Jephta’s original compositions, supported by a stellar line up of SA’s best Jazz musicians. Lower Campus off Woolsack Drive, Rondebosch, Cape Town. Copies of the new CD will be on sale for R120 at the launch concert on the 16/01 and R150 thereafter. ‘Homecoming’ will also be downloadable via all major digital platforms worldwide from February 2015.